This rebate has 2 HOT votes. Tiger direct has Ultra component cable for free after rebate of $5. Ultra ULT40201 12-Foot HDTV Component Cable Are you unable to watch your favorite DVD because you’re missing the appropriate cable? 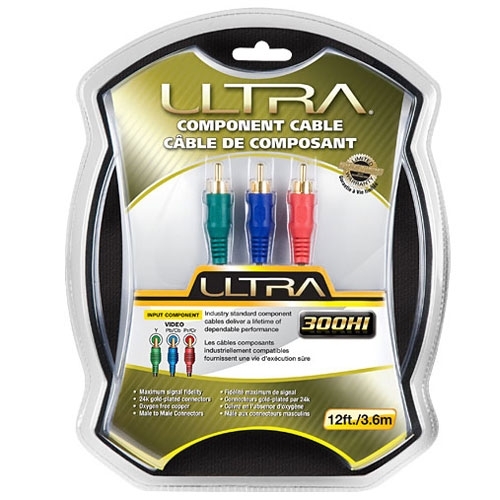 Connect your electronic devices from DVD players to satellite receivers with the Ultra ULT40201 Component A/V Cable. This cable extends up to 12 feet, so you’ll easily be able to stretch it from one end of the room to the other, if necessary. The color-coded tips help identify each cable and where each end plugs into. This rebate must be purchased by Saturday November 21st, 2015.